The First Look From The Nickyanka's Reception Is Here & The Couple Looks S-T-U-N-N-I-N-G! The biggest Bolly-Holly wedding just happened a few days ago in the Umaid Bhawan Palace and if regal had a name it would be Nickyanka. 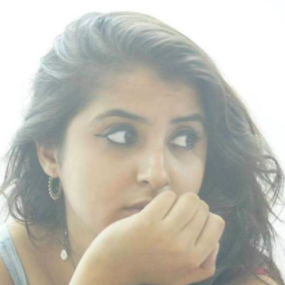 Yup, the two got married in an elaborate ceremony with both Hindu and Christian rituals. It's been about two weeks and I still can't seem to get over the train she wore. Post that, there was a reception in Delhi where we got to see a gorgeous Sophie Turner aka Lady of Winterfell in desi avatar. Now, another two days of celebrations are lined up for the couple. Today is their first Mumbai reception and we're so excited that their looks have come. 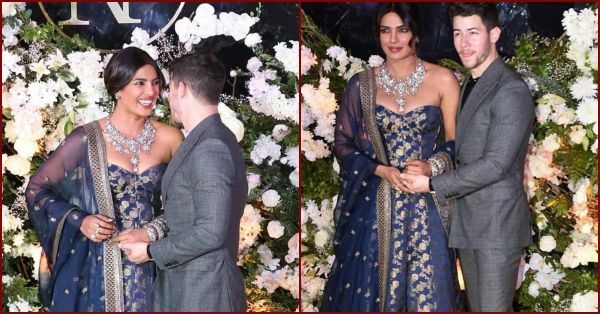 Nick and Priyanka look absolutely stunning and what an adorbs duo they make. PC looks stunning in a blue floor-length gown with gold brocade work and Nick looks like the dapper groom in a grey suit. There's lots more scoop coming on Nick and PC's reception and we'll have it all here so you better stay tuned! Also Read: 7 Ways Nick Jonas And Priyanka Chopra Jonas Broke All Stereotypes!